When you are busy running a company – or getting one off the ground – time is precious. If you can avoid reinventing the wheel, you do – and this is especially true when it comes to figuring out what products and services to use. From software to phone systems and social media marketing tools to an intuitive CRM, it is always nice to get recommendations on what works best. Instead of relying on emailing friends and reading reviews posted by strangers online, turn to NYC-based BestVendor, which launched a free social business directory today that helps you quickly find useful and well-liked web services, cloud apps and software. Founded in January 2011, BestVendor long-term vision is to become the go-to resource for recommendations and reviews of all work-related apps, much like Amazon is to books and Yelp is to restaurants. To get started, just share 3 favorite work apps and sign in using LinkedIn. You’ll get immediate app recommendations personalized for your job function and tastes. You can also see what products other people (and their companies) use and recommend. You can search for work apps by category, like accounting or wireframing, and even filter results to see what others in your industry are using. I am always curious as to how a startup is going to make money. 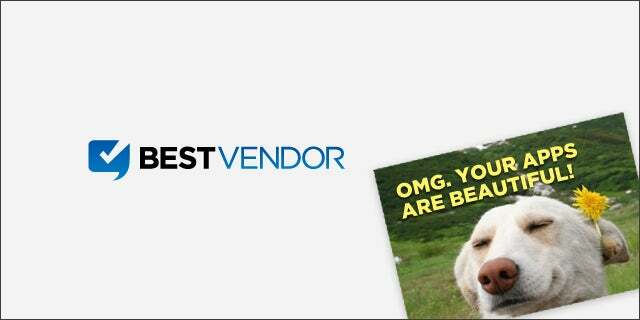 BestVendor Founder and CEO Jeff Giesea said BestVendor plans to drive revenue by helping vendors acquire new customers through enhanced profiles, affiliate referrals and reselling. Check them out today, and let us know what you think – leave a comment below.